Every year in the United States, nearly 2 million kids suffer sports-related or recreation-related concussions (SRRCs), according to some research, and many of these children receive no treatment. Researchers estimated that in children under 18, between 511,590 and 1,240,972 SRRCs go untreated each year. Concussions are a mild form of traumatic brain injury, which can be caused by any direct blow to the head. Any impact to the body that’s forceful enough to shake the brain inside the skull can also cause concussion. Concussions and their long-term effects have made headlines in recent years due to their association with chronic traumatic encephalopathy (CTE). A 2015 study published on the website Concussion Legacy Foundation showed 96% of deceased National Football League (NFL) players showed evidence of CTE in tissue samples taken from their brains. The study’s results are based on 2013 data on visits to doctors’ offices or to emergency rooms, hospitalizations, and concussion reports made to high school athletic trainers, as well as information from previous studies, according to The Associated Press. However, 2 million is merely an estimate, not a precise number – a fact that researchers say indicates the need for a concussion surveillance system. The Institute of Medicine, a nonprofit advisory group to the government on public health issues, has been calling for such a system for quite some time. The CDC plans to create a tracking system for concussion trends and rates in children and adults. The system will give the CDC a better idea of how big a national problem concussions are, and it may help determine which sports and activities most frequently pose concussion risks to children and teens. Dr. Steven Flanagan, chair of Rehabilitation Medicine at NYU Langone Medical Center and an expert in traumatic brain injuries, said that more attention needs to be focused on concussive injuries and early identification of teens and other children with these injuries. Flanagan emphasized that concussive impacts not only bruise the brain, but can also “cause the nerve cells to twist or stretch,” causing further injury. Athletes who are suspected of having a concussion should immediately be removed from play until they have been evaluated and cleared by a healthcare professional. 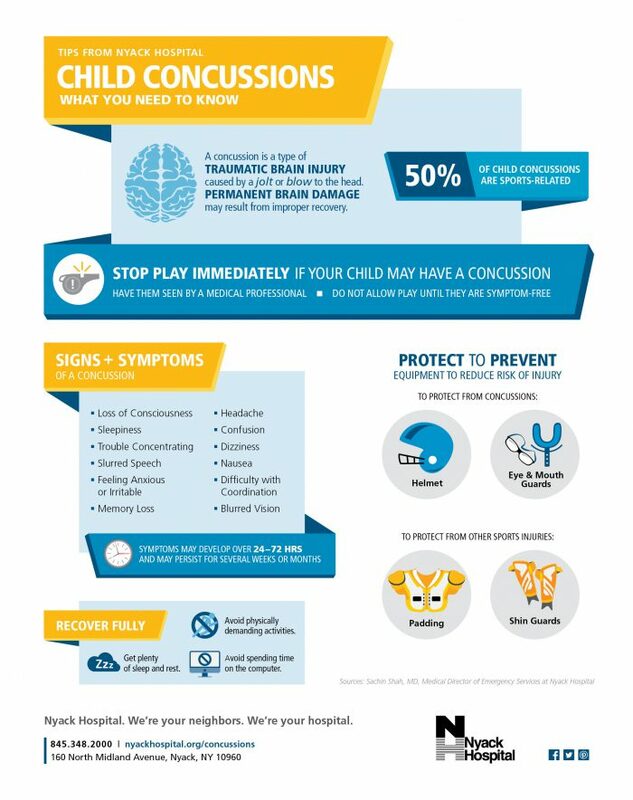 Removing an injured child from a game prevents “second impact syndrome,” which can occur when a second concussion occurs before the child or teen has fully recovered from the first one. Flanagan said that second impact syndrome is extremely rare but that it can cause massive brain swelling that can result in brain damage. He also pointed out that although more physical activity is being recommended for kids of all ages. a disparity exists in the amount of money and resources provided to children who play organized sports compared with those who don’t. The study is published in the journal Pediatrics.